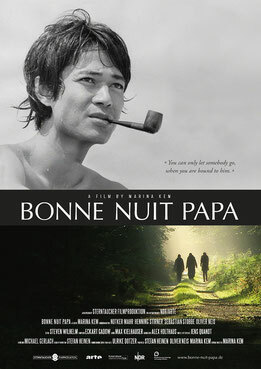 BONNE NUIT PAPA is a film about conciliation, connection and farewell. 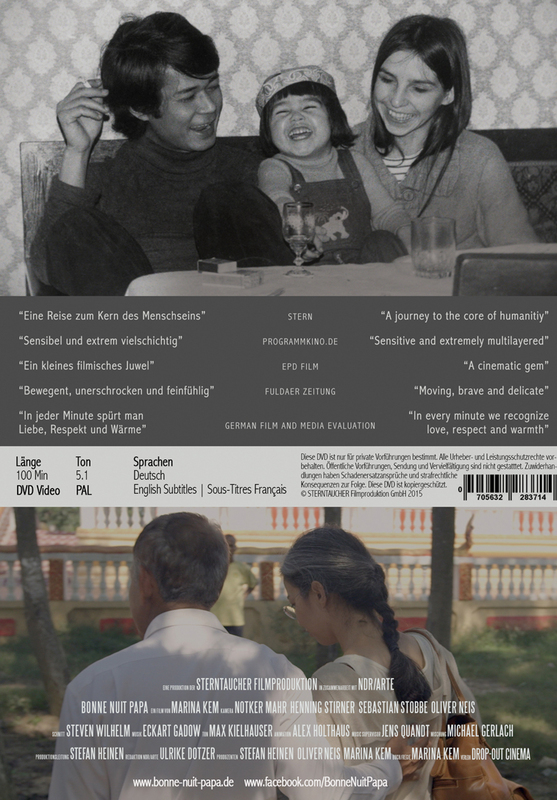 It documents Marina Kem's search for her Cambodian father's story. Experience the creative documentary in full HD and 5.1 surround sound with this Blu-Ray. Director: Marina Kem | 100 minutes | PG rated | FBW "Highly Recommended"
BONNE NUIT PAPA is a film about conciliation, connection and farewell. It documents Marina Kem's search for her Cambodian father's story. The DVD contains the original German version with French and English subtitles. 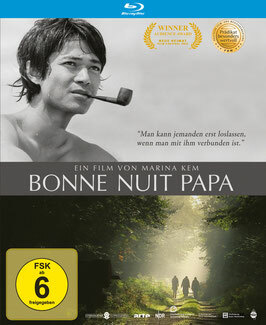 Director: Marina Kem | 100 minutes | PG rated | DVD PAL | no region code | FBW "Highly Recommended"
BONNE NUIT PAPA is a film about conciliation, connection and farewell. 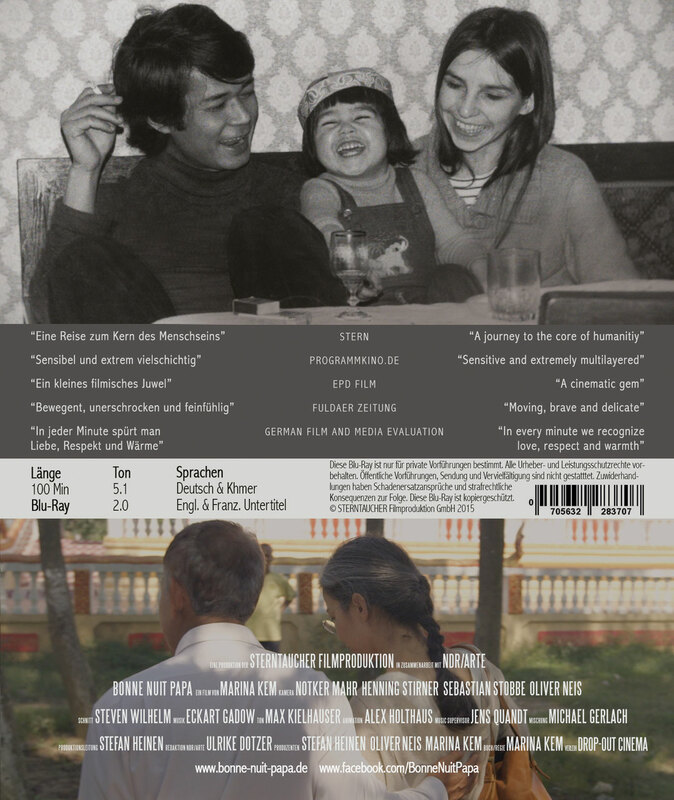 It documents Marina Kem‘s search for her Cambodian father’s story. 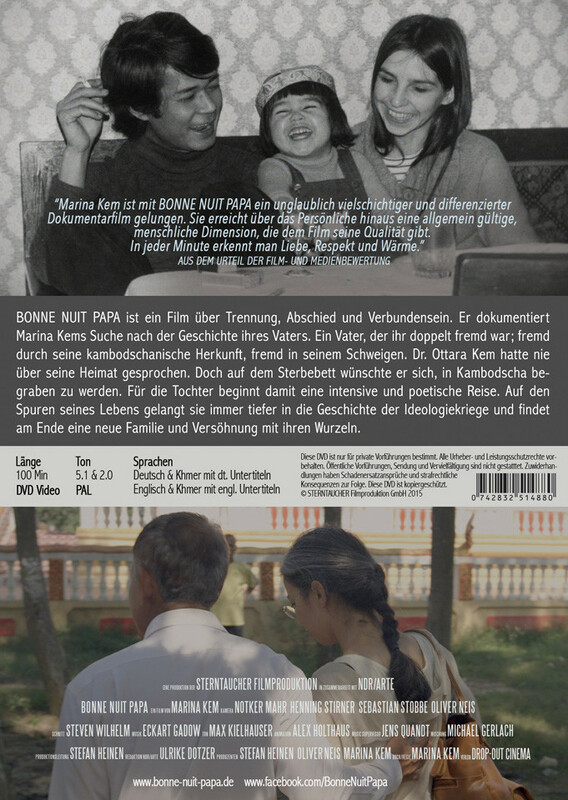 The DVD contains two language versions that can be selected in the DVD menue: English & German. 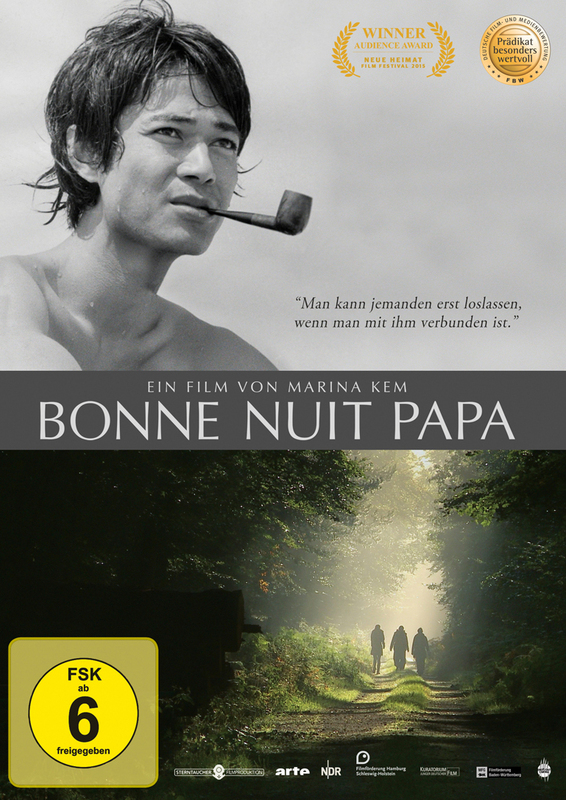 Download a Khmer language version of the film at vimeo. You only need to register at vimeo and purchase the film for 8,50 Euros. You would like to show "Bonne Nuit Papa" publicly at a non-profit event? For example for educational purposes at a university or for a screening organised by your association or society? By purchasing the non-profit license you get a screener of your choice - either DVD PAL, Blu-Ray or HD file, and get the permission to screen the film at non-profit events for cultural or educational purposes as many times as you like. The film is available in German, English or Khmer.